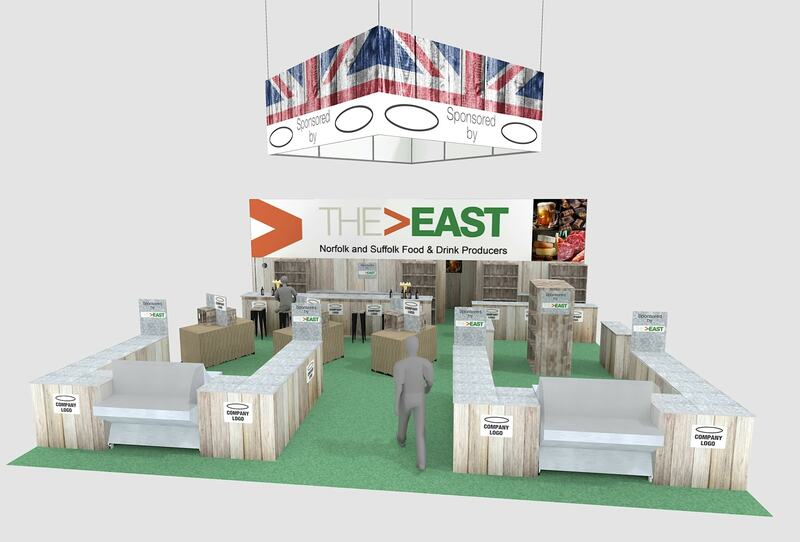 The team at GGS are preparing for a busy start to 2019, having been awarded the contract to design and build a 105 square meter stand for a food and drink trade mission by a delegation of The East to the Netherlands. 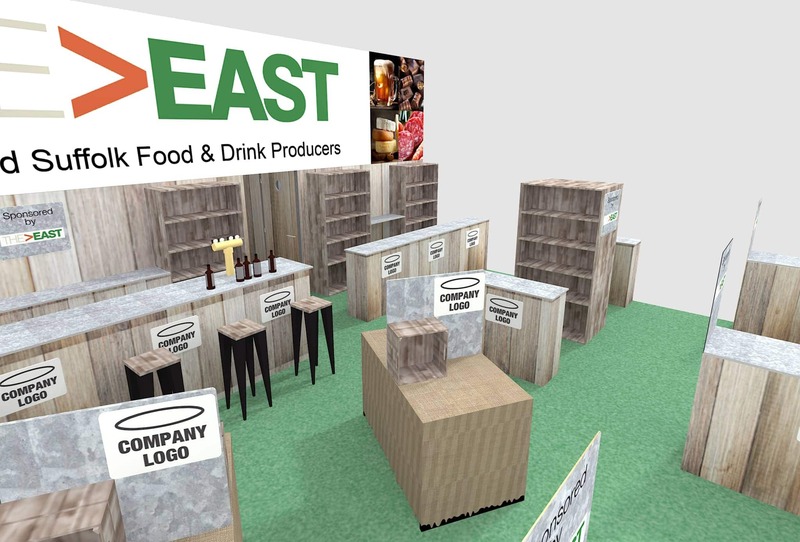 In January, the stand will have a prominent position at Horecava, which is the largest Dutch hospitality trade fair for food and drink producers and catering professionals. The East’s team, includes representatives from New Anglia LEP, Norfolk & Suffolk county councils and the Department of International Trade. 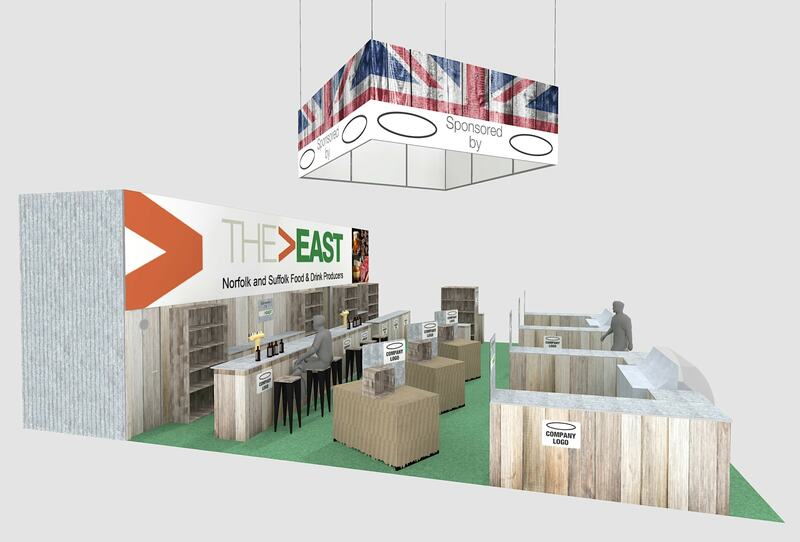 ‘The East Food and Drink stand’ will give up to 24 Norfolk & Suffolk based food and drink producers the opportunity to showcase their products to Dutch buyers. The stand design has an industrial influence and uses materials such as corrugated steel sheeting on the walls complemented with galvanized steel counter tops, and plenty of rustic timber. Suspended above the stand will be a four-sided Union Jack banner frame – just so there’s no mistake the Brits are in town. Norwich based ‘The Lively Crew‘ are managing the space allocation for companies interested in participating on the stand (7 to 10 January 2019), and can be contacted for further information by emailing [email protected]. For any other questions contact Roberta Willner at Norfolk County Council [email protected].